An MS Dhoni-Kedar Jadhav special helped India secure a six-wicket victory on a massively two-paced and difficult Hyderabad wicket. While the match line-up was a clear indication of the team’s priorities, it also brought Mohammed Shami ahead of Bhuvneshwar Kumar for the World Cup. It is the last ODI series for India ahead of the World Cup, and the second last for Australia. So you expect the series to be dominated by the talks of the impending event and how the teams are going to settle their combinations for the showpiece extravaganza. 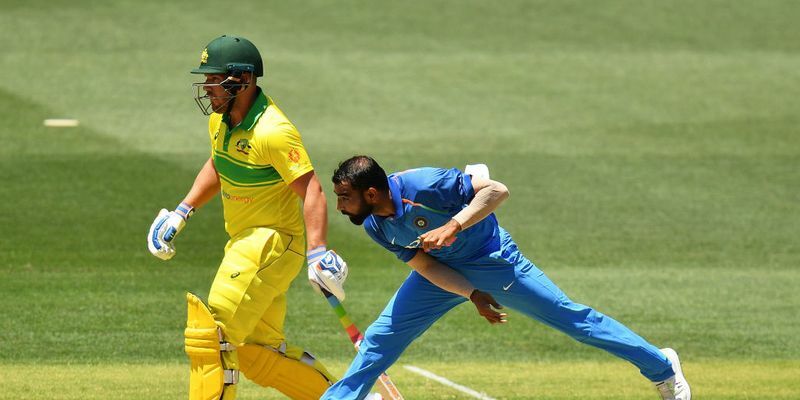 This game proved that the teams are not thinking of anything else as India picked Ravindra Jadeja in place of Yuzvendra Chahal while Australia jettisoned Jhye Richardson for Jason Behrendorff and Ashton Turner was handed his debut. Let’s look at the situation of India first. With MS Dhoni, Kedar Jadhav, Hardik Pandya taking on the No. 5, 6, and 7 positions respectively in the World Cup playing XI, one of Jadhav and Pandya could easily complement the other four bowlers. However, the question that arises is who could be the second proper spin option alongside Kuldeep Yadav? With the rain in the air for most parts of English summer, can India afford to have two wrist-spinners in the team? In their ODI careers ahead of this game, Chahal and Kuldeep have 77 and 71 wickets to their name from 40 and 39 ODIs respectively, but since the beginning of 2018, Chahal has shown a consistent decline as he has picked 44 wickets in 23 ODIs as opposed to Kuldeep's 55 in 25. He has been handed the job of containing the runs in the middle-overs and if that is the role of him in the team now, then having Jadeja would prove ideal as he gives the extra batting depth to the team in the World Cup. The game today gave an idea of how it looks like. 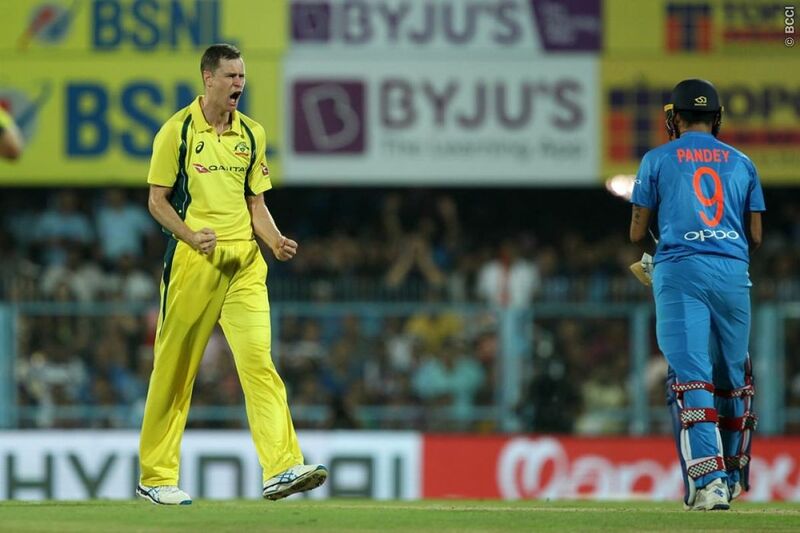 Australia also did their fair share of experiment with the team as they have included Jason Behrendorff despite Richardson doing well against India in their last tour back home. Under ideal circumstances, Australia will go with Mitchell Starc, Josh Hazlewood and Pat Cummins, but Kane Richardson’s injury brought up the fact that who would be the fourth bowling option. While Jhye Richardson has already been tested in the ODIs, Behrendorff was brought into the team to offer the variety of the left-arm-kind, which means replacing an injury-prone Starc wouldn’t be a big problem lest the situation arises. The moment it seemed like India have already settled with their team combination for the World Cup opener, Mohammed Shami has disturbed it with some impressive performances in the last nine matches. If India go with the combination of two pacers, and one among Vijay Shankar and Hardik Pandya, with Kedar Jadhav, then would they settle with one among Shami or Bhuvneshwar Kumar for the role of Bumrah’s bowling partner. Looking at their records statistically, there is not a lot to separate them. Since October 2018, when Shami made a limited-overs comeback, Bhuvneshwar has 18 wickets from 11 matches while Shami picked up 17 wickets from two fewer matches. While Bhuvneshwar is averaging a bit less than the Bengal pacer and a tad more economical, an aspect that goes in favour of Shami is his partnership-breaking ability in the middle-overs. Of course, the white cricket ball has stopped reverse swinging ever since two-ball system post the 2015 World Cup, but Shami is actually quite good in dismissing few more batsmen in the middle overs with his raw pace that generate enough seam movement at times thanks to his ability to keep his wrist firm and straight behind the ball every single time he bowls. His wrist is firmly positioned at the point of delivery and his split fingers come down forward in such a way that the seam invariably comes out bolt upright which is helpful in dry English conditions. If the wicket has enough moisture in it, then Bhuvneshwar can be an option to exploit that in England, but India won’t be placed at a bad position if they start with Shami instead as he provides the cushion of those three overs between 25th to 40th over when the team jostles for wickets. Did India have a plan against Maxi? The way Glenn Maxwell batted in the T20I series against India, it left many fans gasping for air. One of the finest T20I batsmen was taking on a lethal bowling unit with disdain thanks to the amazing ability of not playing the bowler or the ball that is bowled to him but the field that has been set for him. He is simply ahead of the percentage cricket, which like AB de Villiers and Chris Gayle, is very much uncomplicated for him. However, India seems to have learnt a little from the Chinnaswamy ball-bashing. Maxwell is not well-built like Gayle nor does he have a lot of muscle power like MS Dhoni or a Kevin Pietersen and to cover that side, he uses his quick hands which allows him to generate great bat speed. There's no substitute for hitting the ball hard once it gets old and the field spreads and Maxwell does that brilliantly when the ball hold the line or lands on the half-volley. India served him on a platter today. There was hardly a wide bouncer to him and when they even did try that, they failed to keep at it consistently. Of course, Maxwell didn’t race at all and found the two-paced nature of the surface a bit too hard to overcome. But how could you explain that Vijay Shankar landing the balls exactly at the position where Maxi hit them for sixes in the last game both the sides met. Well, one will have to struggle hard to find an answer for that.